Lithium is driving the energy industry into the future. You only have to look at the emergence of Tesla to realise just how important rechargeable lithium batteries have become. Tesla founder Elon Musk said for the company to meet its target of 500,000 cars a year, “we would basically need to absorb the entire world’s lithium-ion production ”. Lithium is of course a key ingredient in lithium-ion batteries, which power electric vehicles, and automakers are scrambling to source enough to keep up with forecast demand. Goldman Sachs has forecast that lithium demand could triple within 10 years and there’s real fear that lithium demand could outstrip supply. China has set a target of five million “new energy” vehicles on its roads within three years, and Norway want nothing but electric vehicles on its roads by 2025. And with Trump threatening penalties for American companies manufacturing offshore, US automakers have another incentive to build electric cars and produce their batteries at home. 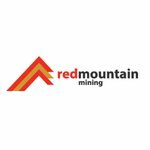 Red Mountain Mining (ASX: RMX) recognises the opportunity that lithium presents – and has the lofty goal of becoming only the second lithium brine producer in the US, in addition to the $10.5BN capped Albemarle Corporation (NYSE: ALB). The company expects drilling permits for its lithium-brine project in Utah, the Red Valley Project, to be finalised in coming weeks, with drilling to commence soon thereafter. Note that this is an early stage exploration play and investors considering RMX for their portfolio should take a cautious approach and seek professional financial advice before investing. 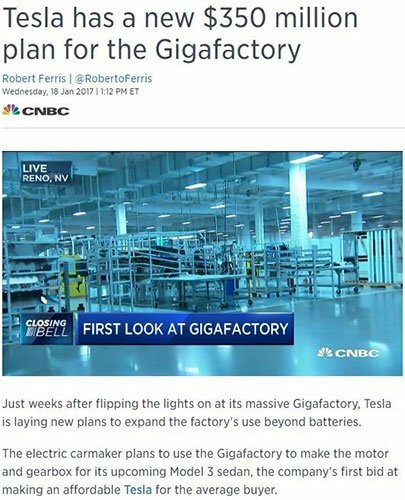 Huge lithium demand will come from Tesla’s new lithium-ion battery ‘Gigafactory’ in Nevada . When RMX made its move into lithium, it did so with one eye on what the US could offer and one ear open to Tesla’s declaration that it would only source its lithium supply from within the country. As we mentioned above, currently there is only one lithium brine producer in the US – the US$10.5 billion Albemarle Corp (NYSE: ALB) with its Silver Peak Project in Nevada’s Clayton Valley. RMX’s Red Valley ground in nearby Utah has remarkable geological similarities to Clayton Valley, where Albemarle’s lithium mine sits. It should be noted that past performance and share trading patterns should not be used as the basis for an investment as they may or may not be replicated. Those considering this stock should seek independent financial advice. Under the agreement, RMX agreed to fund initial drilling at existing, mapped targets and conduct chemical analysis at Red Valley. Following analysis of the drilling results, RMX will have the right to acquire 51% of the project for just US$250,000. Should RMX choose to proceed with the acquisition, a joint venture will be formed and the company will have right to increase its ownership to 80% of the Red Valley Project by meeting certain expenditure requirements. Lithium brine deposits are accumulations of saline groundwater that are enriched in dissolved lithium. There are a lot of benefits of mining lithium brine, rather than hard rock lithium. Compared to hard rock, lithium brine projects tend to have lower exploration and capital expenses, have a faster path to production, a lower environmental footprint and have a longer mine life. You can dig more into the differences between hard rock and brine lithium here . As new technologies demand more and more lithium, there’s pressure to find new sources of the battery ingredient. Clay based lithium exploration projects have recently gained some attention. But these projects are still unproven, and will ultimately have to rely on the development of new and untried extraction and separation technologies. For these reasons, lithium brine projects, and their proven techniques, are very appealing and are gaining traction amongst investors. Albemarle Corp is the only lithium brine producer in the US today, from its Silver Peak mine in Clayton Valley, but this could be set to change. 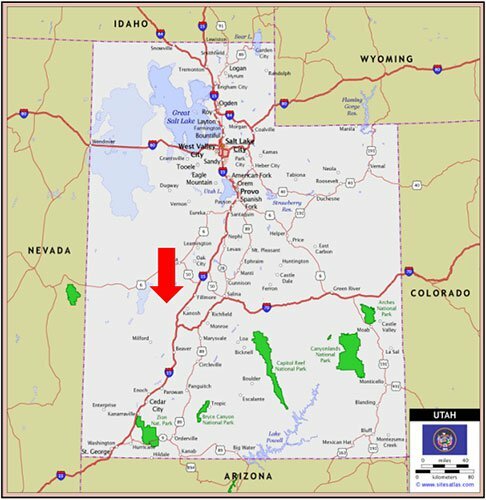 Red Valley, in Utah, has been identified as the USA’s second, long-life, lithium brine production province, after Clayton Valley. With future production at Red Valley holding a lot of promise, RMX’s ultimate goal would be to identify another source of lithium-brine production in the US. RMX’s project is conveniently located close to end-users – notably Tesla’s newly opened lithium-ion battery factory in nearby Nevada. Lithium-ion batteries and their associated technologies continue to grow, so if production gets underway, the project has the potential to be a highly profitable enterprise. Of course there is no guarantee that the demand for lithium will continue to grow at its current pace, so if considering this stock for your portfolio you should take this article as well as all public information into account and seek professional financial advice. For 50 years Silver Peak has been North America’s only site for lithium brine production. Yet potential for further production at Clayton Valley may be limited. That’s because drilling in the southern parts of the valley has not yet found lithium; there are extensive and multiple mineral claim positions covering the valley; and ground waters required to extract lithium have already been allocated to Albemarle. Extensive geological modelling identifies chemistry similar to that found at Clayton Valley in Nevada at Red Valley in Utah. RMX is hoping that Red Valley can deliver the same prolific results achieved in the Clayton Valley Basin. The project’s earn-in partner, Bill Feyerabend, has been involved in various drilling programs in the Clayton Valley. He is an acknowledged expert on the Clayton Valley basin and authored expert geological reports for Clayton Valley hopefuls, the C$130 million Lithium X Energy (TSXV: LIX), and C$58 million Pure Energy Minerals (TSXV: PE). Feyerabend developed a detailed geological model as to the characteristics of the lithium enrichment in the Clayton Valley region, together with the qualities which allow traditional extraction techniques. His model led him to question why Clayton Valley was the sole lithium brine production location in the US, when other regions held potential. 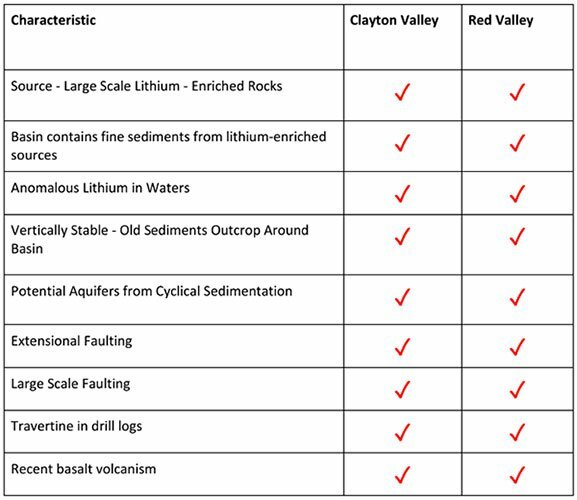 After conducting ‘considerable analysis of that region’s physical characteristics and considerable research over the last two years,’ Feyerabend identified Red Valley as having lithium brine production potential, due to it having similar characteristics as Clayton Valley. This week, RMX Director Jeremy King provided an operational update in relation to the group’s progress at its Red Valley Lithium Project in Utah. King highlighted that an additional land package of approximately 6,000 acres surrounding its existing staked drill locations had been secured. This provides the scale required for a significant lithium brine operation should they encounter commercial levels of lithium enrichment. King also noted that awaited archaeological surveying that followed a round of pre-drilling had been completed. This positions RMX to begin its exploration program once permitting is complete. RMX anticipates drilling permits for the project to be finalised in coming weeks, with drilling to commence soon thereafter. In parallel, the company is reviewing bids from local drilling contractors for this work. In early December, RMX announced the sale of its Batangas Gold Project in the Philippines. As a foreign miner, developing a project in the Philippines was becoming increasingly difficult, due to strong anti-mining sentiment held by new Philippines President, Rodrigo Duterte, and his Environment Minister, Regina Lopez. Earlier comments by Duterte, spoke of foreign miners “making money out of the precious metals of the earth that belongs to the Filipino people.” And environmentalist, Lopez, has said “we must stop killing our future for the interests of a few”. While the comments weren’t aimed at RMX directly, the company saw the writing on the wall, sold the project and refocused its operations in more amenable mining jurisdictions. RMX offloaded its 75% interest in the Batangas Gold Project to Bluebird Merchant Ventures Ltd (LSE: BMV). Bluebird, a Philippines-based company, was an existing 25% joint venture partner with RMX in the Batangas project. London-listed Bluebird acquired the remaining balance of the project in exchange for 1.25 million fully paid BMV ordinary shares, plus a perpetual 1% net smelter production royalty over the life of the Batangas Gold Project. Furthermore, if Bluebird sells 50% or more of the project within 12 months then it shall distribute 50% of the net proceeds to RMX. RMX currently holds approximately 6.1 million shares in Bluebird, which shall increase to circa 7.35 million upon settlement of the Agreement. 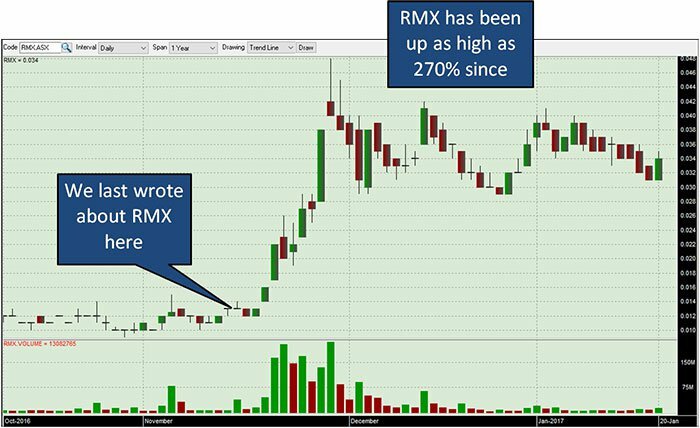 In the market update , RMX Director Jeremy King noted the challenging operating current climate in the Philippines and explained that regulatory hurdles will be best managed by local groups – such as Bluebird. The sale removes RMX from any downside risk associated with the project, yet the company will continue to benefit if all goes well. The move also frees up RMX to hunt for new and more lucrative opportunities. And most importantly, it frees up the company’s resources and attention to focus on the exploration and development of its Red Valley Lithium Project. 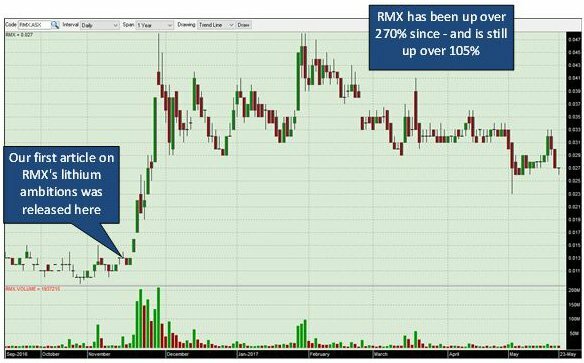 With its revised strategy towards new energy metals, RMX has potential to increase in value as the company begins its drilling campaign in earnest. The RMX Board is also actively seeking further acquisitions in the new energy and precious metals sectors. It is open to opportunities in cobalt, zinc, lithium, graphite, gold and silver. So keep an eye out for any new acquisitions from RMX. But for now it will concentrate on lithium and the vast opportunities this fast growing market represents.